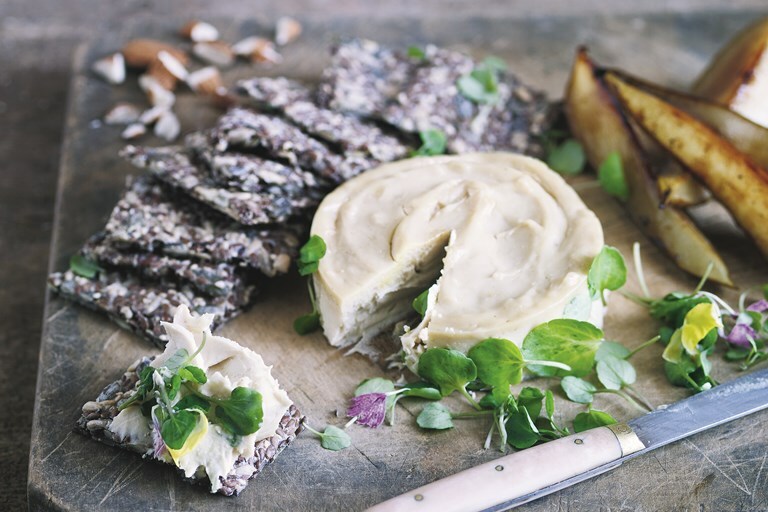 Bettina serves her truffled cashew cheese recipe with seeded crackers and caramelised pears for a beautiful vegan "cheese" board. You can eat the cheese fresh if preferred, of age it for up to a week to develop a nice rind. This recipe is from Happy Food by Bettina Campolucci Bordi, published by Hardie Grant. Images by Nassima Rothacker.